Surbiton Wildlife Group is a community-based group that aims to improve green spaces in Surbiton for wildlife and people. They run charitable projects and initiatives that inject new life into the green areas locally. 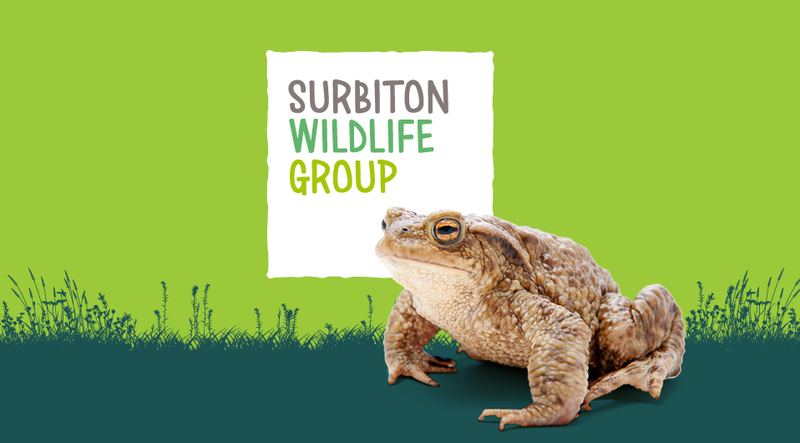 Started and run by volunteers, Surbiton Wildlife Group is open to anyone with an interest in nature. Their aim is to improve green spaces through projects and initiatives, including a plan to revitalise Claremont Gardens, a park which had been neglected over the years. Having come across the group on Twitter I was impressed by the work they were doing and volunteered my services. This included giving them an ownable identity that highlighted their values and hopefully encouraged others to join in. The name of the group spelt out what they were about so I focused on a type-based logo that gave a flavour of the community-spirited enterprise. As they were relying on social media to promote themselves, I created a simple square lock-up which meant the logo could be read easily as an avatar. When used in print or larger canvases, the logo can be overlaid with different wildlife images to bring the identity to life. Using a hand drawn typeface kept the identity informal while collaged photos and illustrations added a layer of fun and interest. The identity was used on a number of items such as leaflets, posters, signs and a social media toolkit which helped give the group a stronger online presence. I also helped produce the promotional material for a fundraising comedy night headlined by Jon Richardson.